Illustrations for O Conventual’s logotype and bakery’s wall. O Conventual is a bakery in the town of Pereira, and focuses on the traditional Queijada de Pereira, which is a convent sweet whose recipe was created by the nuns in the convent of Pereira. In addition they also produce other goods and convent sweets as well. I was invited to develop their logo, and also an illustration for their bakery’s wall. Since I’m from Pereira I was very familiar with the Queijada and all it’s history, and it was a fun project to work on! 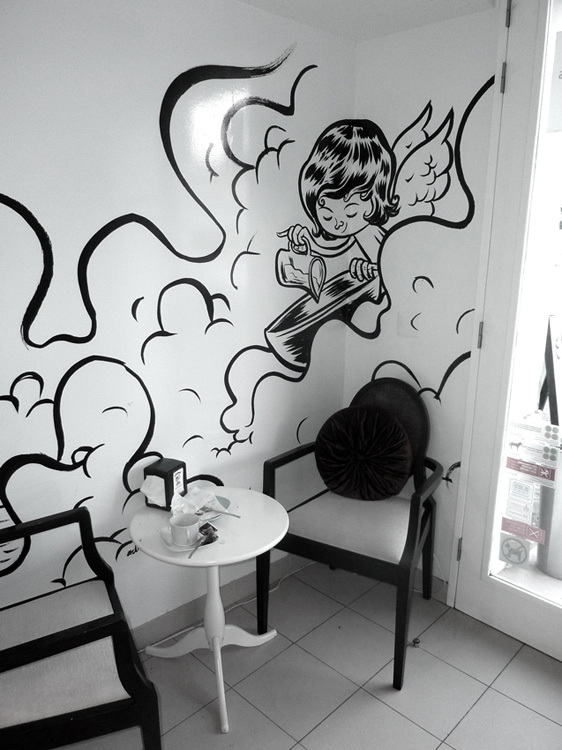 Queijadas are handmade, so a caligraphic font was chosen and a handmade illustration was produced, using a brush and black ink, of an angel starting a recipe. The angel is used because the owner is called Maria dos Anjos, Anjos is portuguese for Angels, and I must say, they are heavenly good! In almost all convent sweets eggs are used, so with this in mind, yellow was chosen. Black and white because the nuns costume’s use these colors. 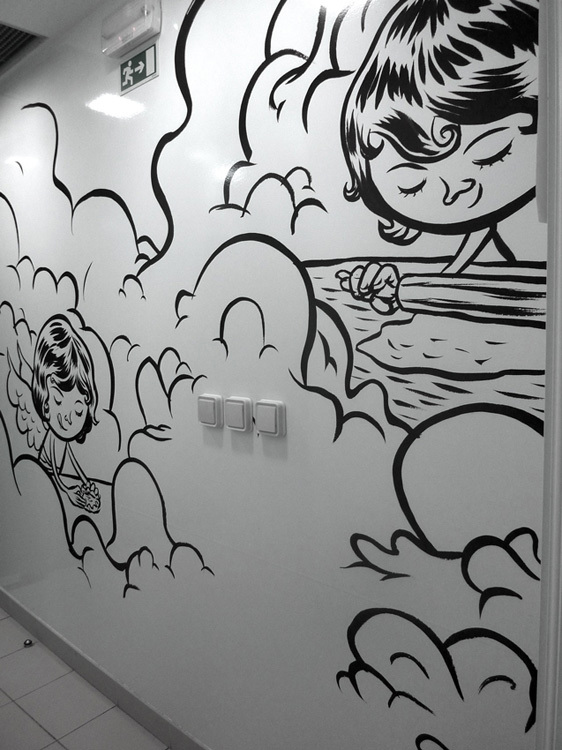 I also had the pleasure to do an illustration to be printed in vinyl, 5m wide and 2m tall, on the bakery’s wall, that I proposed to be a series of steps of the cake recipe. The originals are two A3 brush and ink drawings, that scanned and united digitally. 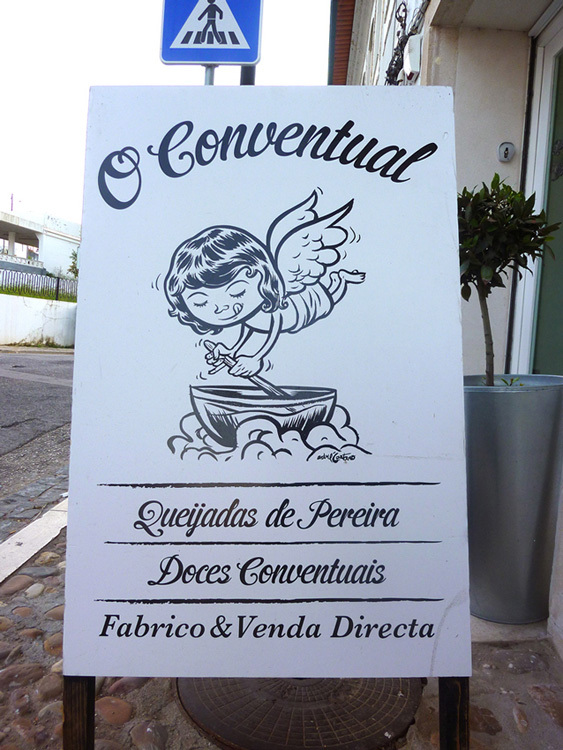 Read more about… Illustrations for O Conventual’s logotype and bakery’s wall.